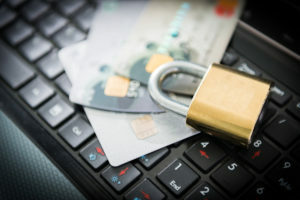 As credit card fraud schemes become more extensive and use more advanced technology, law enforcement is trying to keep up with innovations and strategies of their own. In general, credit card fraud schemes can be hard to catch. After all, many transactions that are technically credit card fraud appear perfectly legal to the business owners or store employees that witness them. It is only after the fact, when the money does not show up, or victims of credit card fraud check their bank account, that people realize a crime has occurred. That’s why many recent advancements have been focused on catching moments of fraud as they are happening. The biggest breakthrough in this area can be traced to one software technology. The technology, which recently received a U.S. patent, is held by ID Analytics. It looks at credit card fraud in a different way from most technologies. Rather than focusing on individual fraudsters conducting small crimes, the technology will look at connections among multiple fraudsters and big, complicated schemes. Because of this, law enforcement officials believe they can catch more people faster. In 2010, ID Analytics estimated that were around 10,000 fraud rings working throughout the United States. These “rings” unlawfully gain money, goods, and services by using fraudulent or nonexistent identity information, like Social Security numbers or addresses. Often, fraud rings share these addresses or other forms of identification. ID Analytics is hoping to use these identifiers to discover trends in connections that lead to fraud rings. ID Analytics already holds one of the largest bases of consumer behavioral data (known as the ID Network). Using this information will help ID Analytics confirm what is actually fraud and what isn’t much faster than in the past. If you are worried about potential fraud charges, reach out to us today to learn how we can help. Already, ID Analytics has noticed trends in credit card fraud that were not clear before. While individual fraudsters tend to stick to urban or densely populated areas of the country, the new technology is noticing big groups living and conducting schemes in more rural areas. Places like Georgia, Mississippi, and the Carolinas. That’s not to say that ID Analytics hasn’t identified outlying schemes being conducted in big cities (they have noted Atlanta and Georgia to be “hotspots,” for example), but previously law enforcement had been focusing efforts on big cities. Now, that may change. With tens of thousands of fraud rings in the United States, credit card fraud is both a state and a federal issue. Law enforcement agencies at all levels are taking these crimes very seriously. In New York, committing identity fraud or credit card theft can have a range of penalties. Different acts may warrant a charge as relatively minor as a class A misdemeanor or as serious as a class D felony. If you have been accused of credit card fraud, you may have sophisticated technologies and powerful agencies searching for evidence against you. Contact a New York defense lawyer to represent you and fight back for your rights.